VISIT OUR WEBSITE AT WWW.SHOPRIGHTCHOICE.COM TO SEE 91 PHOTOS, THE FREE CARFAX, AND MORE INFO ON THIS INCREDIBLE FIND! 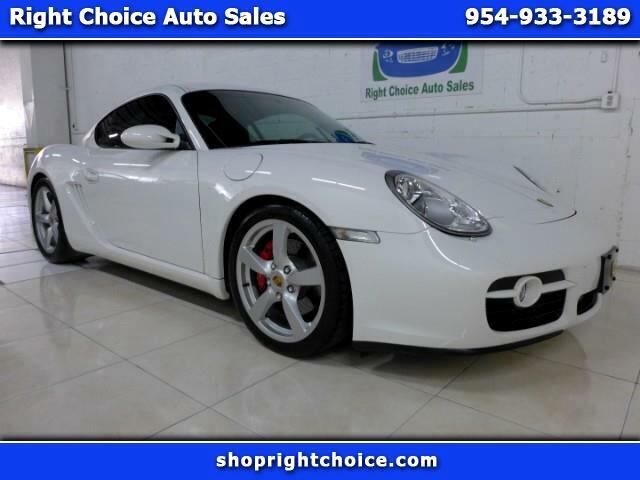 THIS CAYMAN LOOKS AND DRIVES LIKE NEW, HAS $13K IN OPTIONS AND UPGRADES, THE BORLA EXHAUST GROWLS AT THE PERFECT PITCH, IT HAS A CLEAN CARFAX (NO ACCIDENTS), HAS BEEN METICULOUSLY WELL MAINTAINED AND GARAGE KEPT, INCREDIBLY LOW MILES, AND IS A TREMENDOUS VALUE AT THIS PRICE. THIS IS THE ONE YOU WANT SO DON'T MISS IT!